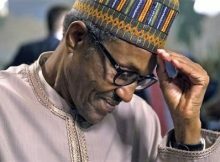 The All Progressives Congress (APC) Rebirth 2019, a support group within the ruling party, has written President Muhammadu Buhari, Bola Tinubu and other stakeholders over concern of “unprecedented” economic woes of the nation. In its letter, the group called on the leaders of the party to urgently intervene to save the situation. It called for a national APC retreat where “soul-searching sober reflections” will be done to pave way for a “sweeping change of fortunes” of the citizens. The group added that the retreat should be conducted at various levels of government including local, state and federal level. The letter, signed by Tony Akeni, the group’s national president, read: “As the ruling party at the centre and in the majority of Nigerian states, we have two choices before us. To our own detriment, we can choose to bury our heads in the sand from blame like the preposterous ostrich and flaunt aimless growth and boom statistics like PDP is expert at and used to do in its hey days before its empire fell from its arrogant peak. “Our second choice is to have the courage and soul-searching sober reflections to enable us evolve a sweeping change of fortunes for Nigerians in general, and to do so urgently, diligently and pragmatically with everything it takes in the short time remaining in our hands. “The most fruitful channel to achieve the latter, which is the sensible choice, is the immediate convocation of an APC national political and economic retreat. “Where we are in Nigeria today, we cannot afford to continue to wallow in the sympathy mentality that Nigerians will forever reason with us that the prolonged social-economic meltdown in our country is entirely the fault of others. The group added that such retreat will help address Nigeria’s “most urgent needs” while also creating an enabling environment for the party’s victory in the 2019 elections. “The overall outcome of such retreat will accelerate decision processes from the president’s desk to the least APC administered local government council in Nigeria, and help us to put behind us the better part of the last two years during which decisions on virtually everything have been a nightmare of excruciating sluggard pace and beggarly delays,” it also said.